Didn’t Hollywood just do one with Ashton Kutcher? Wasn’t there one in the 90’s that followed the rivalry between Jobs and Gates. 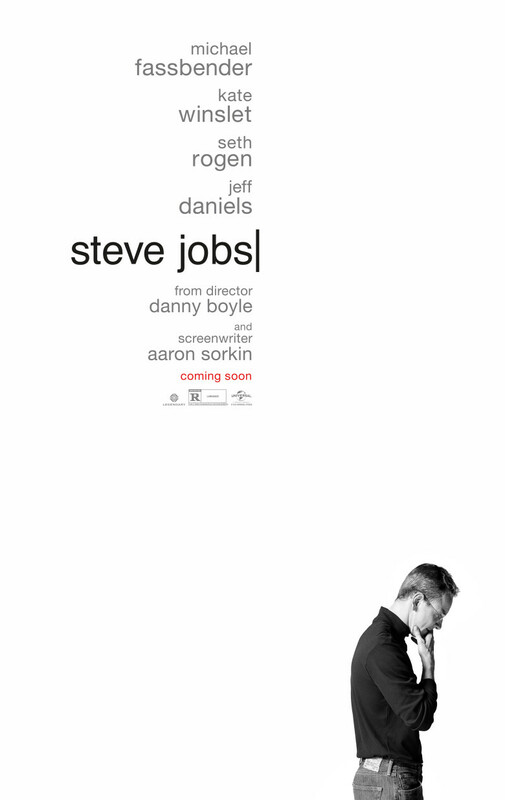 I know he was an influential figure in the tech world, but how many movies about Steve Jobs do we really need. Then, I saw Michael Fassbender was playing Jobs. Okay, that could be interesting. Oh, Aaron Sorkin wrote the screenplay. Well, that’s a good sign. Wait, Danny Boyle is directing. Done. Sign me up. So, how many Steve Jobs movies do we need? The film Steve Jobs essential works like a 3 act play. Each act is a snapshot of Job’s life set in juxtaposition with the media launches of his pet projects; The Macintosh in 1984, The Next in 1998, and the iMac in 1998. Director Danny Boyle and his masterful cast craft a film that takes dialog heavy script that could be inherently boring and turn it into a riveting, visceral experience. The cast of this film makes you wish the Academy gave an Oscar for best ensemble. Michael Fassbender brings Steve Jobs to life, warts and all. His balance of heart and hubris is astounding. Fassbender makes the viewer understand how such a colossally, self-involved, megalomanic could charm and command the loyalty of so many brilliant people. His passion and belief in his vision of the world was contagious. Fassbender makes it tangible. Kate Winslet stands toe-to-toe with Fassbender as Joanna Hoffman, Job’s right-hand and friend. She is the no nonsense Jiminy Cricket that guides Jobs along his path. Just as her real life counterpart could hold her own with Jobs, Winslet can balance a scene with Fassbender. Each of their performances are better for it. Seth Rogan is perfectly cast as Steve Wozniak, Job’s college friend, colleague, and head of the Apple 2E division of Apple. He is the sweet to Job’s salty that pinpoints Job’s dynamic with people. Sorkin allumn Jeff Daniels rounds out the stellar cast as Job’s mentor John Sculley. It would be easy for Boyle and Sorkin to either demonize or deify Steve Jobs. However, they solidly come down on the side of Jobs being a human being, complex in his relationships, capable of growth and change, limited in his own ways. The story of Jobs’ relationship with his daughter shows a man stretching himself outside of what he knows. It was one of the nuggets in the film that kept me from forming a 2D portrait of the man. For a man who felt that technology should be packaged in excellent design, making it a work of art, Steve Job’s would be happy with this film. Boyle’s team of cinematographer Alwin H. Küchler and editor Elliott Graham have made a beautiful looking film. Kuchler’s framing is masterful and Graham’s editing makes the actors performance’s dance. The combination is hypnotic. All these elements together transform a film where a bunch of people stand around and talk about computers and child support into a gripping, multitiered story of a man’s life’s work. Steve Jobs, love him or hate him, you can’t deny he has left his mark. Now, let me save my review in Pages on my iMac, because I need to answer this call on my iPhone, but first I need to turn down my iTunes music on my iPad.